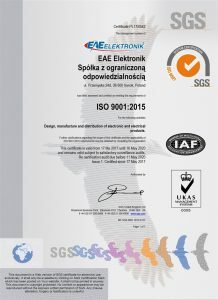 EAE Elektronik is a manufacturer specializing in EMS contract-based assembly, that is paying patricular attention to minimization of all those activities having harmful influence on a natural environment. We operate on the basis of knowledge and skills gained through the experience gathered over the decades. We intend to win the leading position on the market not by measuring the amount of acquired orders, but by a high standard of performance and satisfaction of our customers. 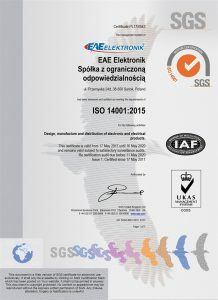 EAE Elektronik’s activities are realized in order to meet all laws and regulations related to environmental protection. We make a lot of effort to provide environmentally friendly products and services. 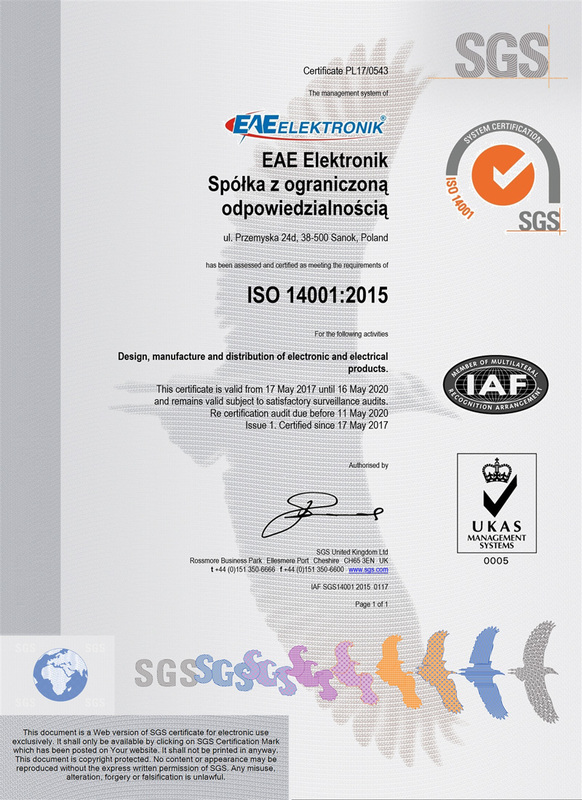 As a result of implementing ISO 9001 and 14001, Management of EAE Elektronik has committed to take care of trust and a good relationships with customers. With the utmost care, we strive to meet our customers’ requirements and expectations – from the moment of preparing an offer to a product manufacturing. 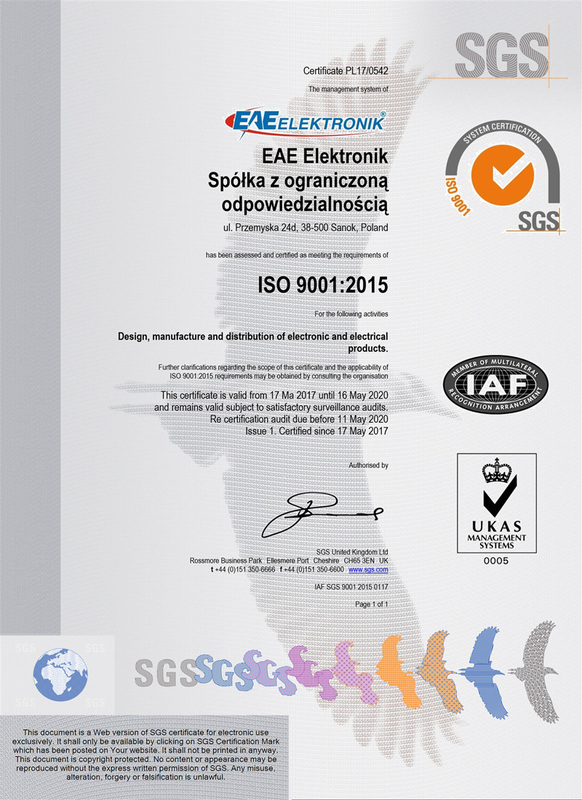 We would like to improve the quality of products with a particular regard to an environment protection. We are continuously enhancing the environmental awareness of employees and the local community by undertaking educational activities for children, dealing e.g. about an alternative energy sources. We are consistently enforcing an issue of waste minimization, segregation and recycling. High quality of products and services is supported by continuous concern for the environment protection and for the safety of employees and suppliers. Efficient functioning of the Integrated Management System ensures performance monitoring in respect of effectiveness and efficiency. We are undertaking an effort to improve and adapt to the constantly changing market, technological conditions and customer requirements. We are continously improving employees’ environmental awareness and competence.